The SSC Stenographer Group C and D Result 2019 is expected to release today, April 15, 2015, by the Staff Selection Commission. The SSC Stenographer Result 2019 will be released on the official website. Applicants who had appeared for the SSC Steno Group C and D examination 2018 can check the SSC Steno Result 2019 through the activated link. The SSC Stenographer Group C and D Result 2019 is expected to release today, April 15, 2015, by the Staff Selection Commission. The SSC Stenographer Result 2019 will be released on the official website. Applicants who had appeared for the SSC Steno Group C and D examination 2018 can check the SSC Steno Result 2019 through the activated link. The candidates can check their SSC Stenographer Result 2019 on the official website, ssc.nic.in. The candidates who appeared in the exam are advised to visit the official website and check the result ones declared. 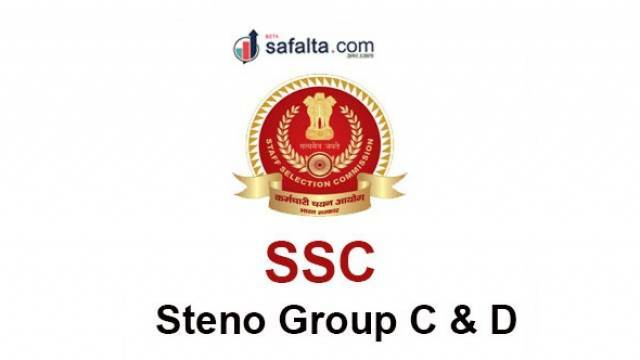 Simple steps to download the SSC Stenographer Group C and D Provisional Answer Keys 2019 are given below. 3. Enter your User ID and Password and Log in. 4. Result will be displayed on the screen. Download a copy for future reference. The Candidates are informed that the SSC Stenographer Group C and D Answer Key was already published by the commission on March 08, 2019. The commission has also issued the tentative vacancy details on April 12, 2019. Regarding more latest updates for the board exam, result, and study material for the exam keep checking the safalta education portal.